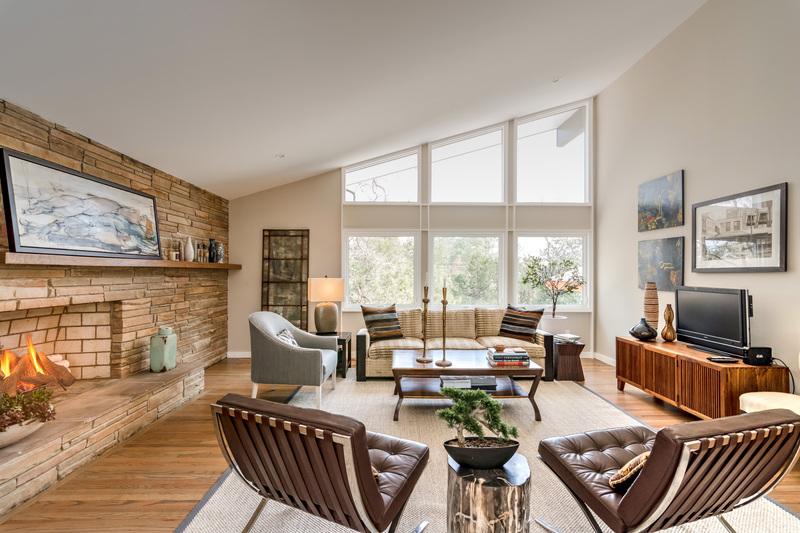 MODERNIST RETREAT – just 10 minutes to Franklin Street! Ahhhh! The new modern estate fencing with stone pillars and bowl planters signals you, that this home is like no other. 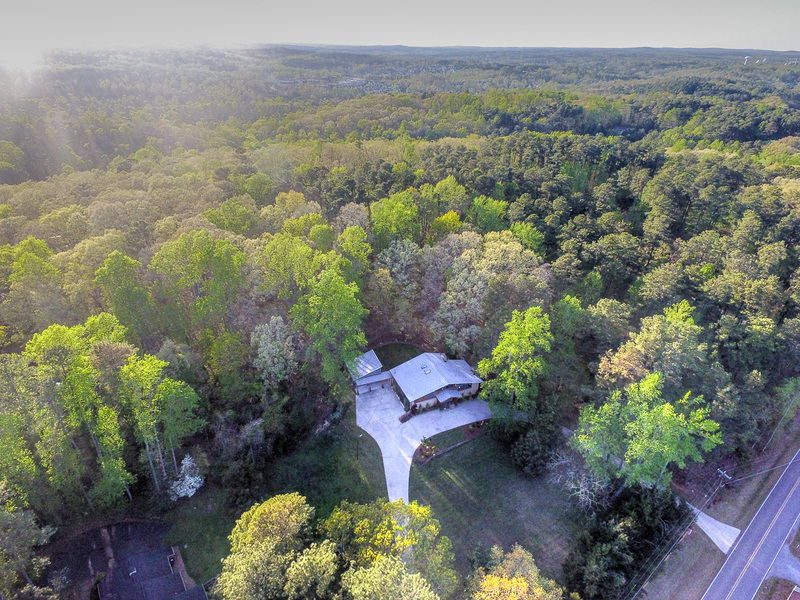 Sitting gracefully on 1.68 ac lot, this home has a flexible floor plan filled with light. And at this time of year, the spring green and dappled light through the clerestory windows is just something to behold! 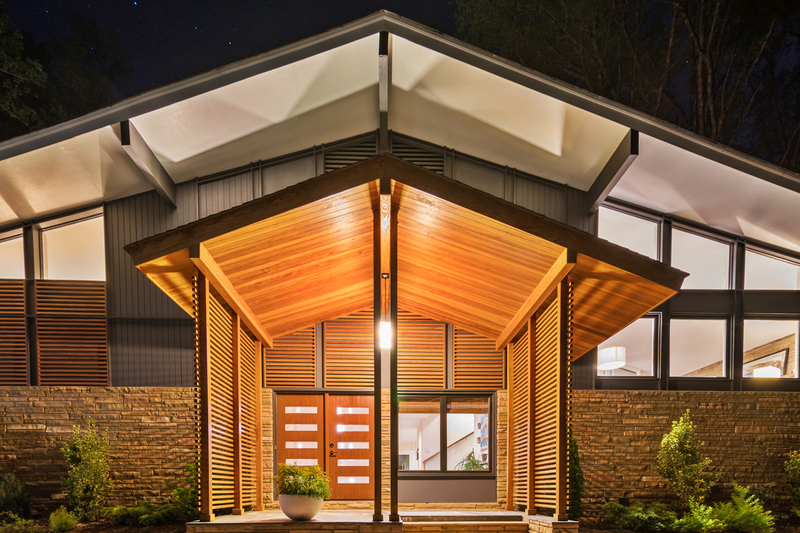 This house was designed to be comfortable and welcoming – a “warm modern” home that just wants to be enjoyed and not fussed over. Perfect for entertaining: The peace and quiet of the country, beckons you to enjoy a beverage in the back private courtyard with friends, while Nina Simone plays in the background. 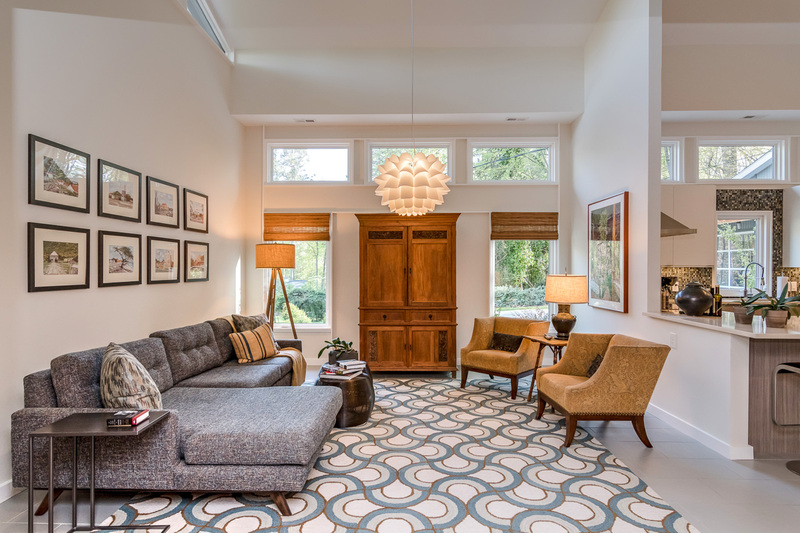 Or host 100: with the long circular drive, and a new garage doubling as a cabana, complete with vaulted dramatic ceilings can accommodate a crowd. 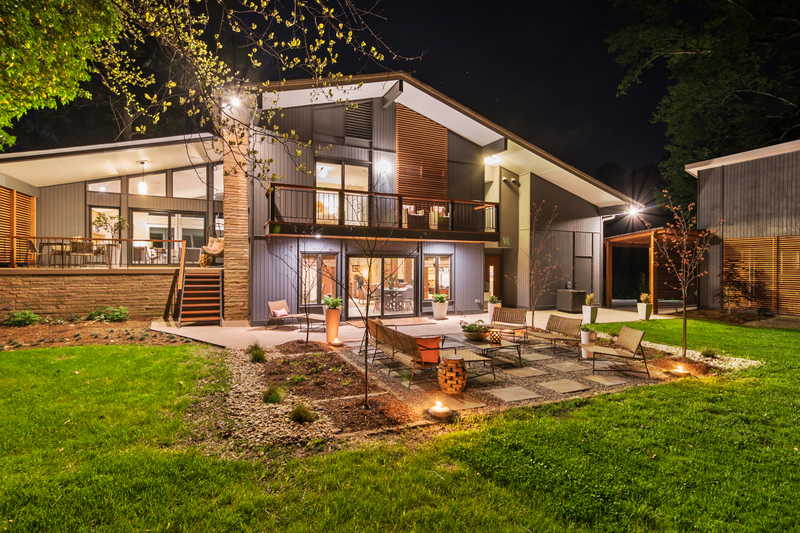 Be sure to check out those sliding fir screen panels toward the rear yard! 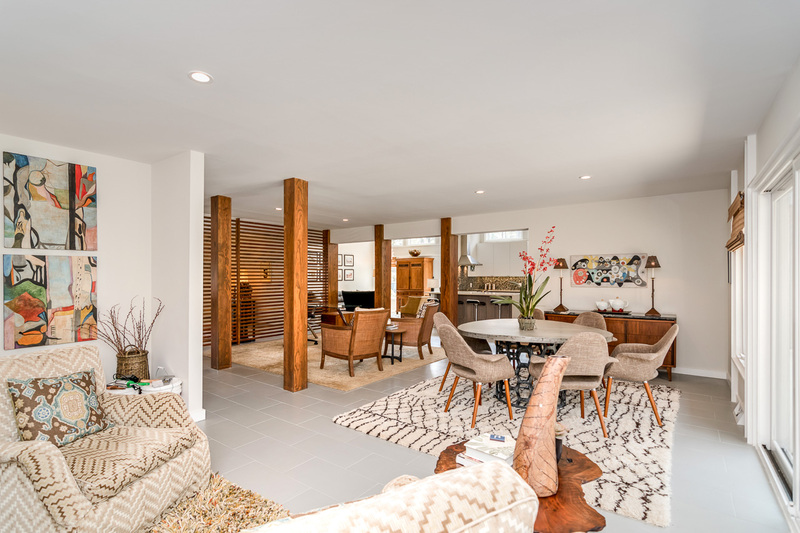 The family room and the dining areas can be switched around, to accommodate many uses. The home is open, and with the differences in ceiling height, it is very easy to get just the right light and feel for your specific needs. 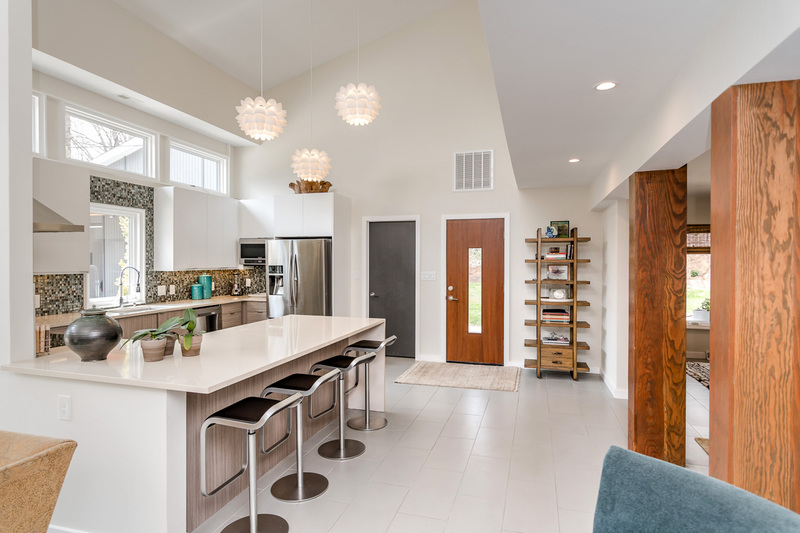 The Vaulted chef’s kitchen w/quartz waterfall counter and handblown glass tile backsplash, skylit bathrooms, and outdoor spaces are waiting for a new owner with discerning taste, and a passion for fine craftsmanship & design. 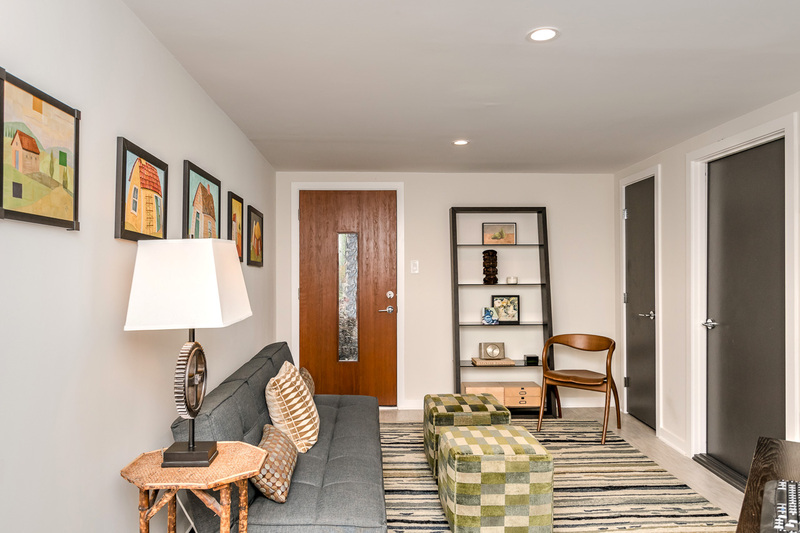 The office in the lower level of the home has its own exterior door, which is accessible from the circular drive, so working from home- and meeting with clients away – is easy!